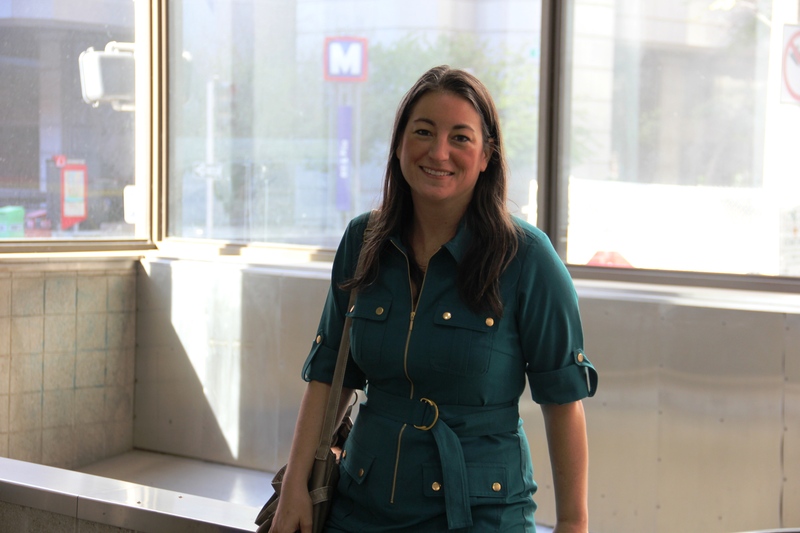 Nicole didn’t discover the value of public transportation nestled in a St. Louis suburb, nor did she find it while waiting for a MetroLink train downtown. In fact, she didn’t find it in St. Louis at all. It would take moving across the Atlantic Ocean and living in a city in Italy for three years for Nicole to discover her love of transit. 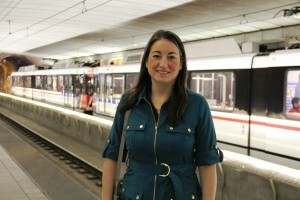 When Nicole returned to the U.S. in 2007, she was determined to make transit work for her. She moved from Webster Groves to downtown St. Louis and even decided to even go car-free for a while. Nicole still lives downtown and calls the 8th & Pine MetroLink Station the “center of her world.” For business meetings, Nicole will try and schedule meetings around MetroLink stations. “I often take the train to the Central West End MetroLink Station and use that station as my hub for lunch meetings,” she said. Saving money and being more environmentally friendly are important benefits of using public transit, but the number one reason Nicole chooses to ride is for the human interaction. One story Nicole remembers was while she was waiting for a bus headed to the South County Mall. It was a warm day, but you wouldn’t know it if you were staring at the gentleman standing next to her, dressed in a parka, and waiting for the same bus. The two rode the bus to the mall and Nicole went to her lunch meeting. An hour later, she returned to the bus stop and the same man with the parka was waiting for the bus, only this time the temperature dropped to a chilly 30 degrees. Nicole was wearing a t-shirt. A trip across the world wasn’t the only time Nicole got stung by the transit bug. It happened again in 2008 when Proposition M, an effort to increase public transit through a half-cent sales tax, failed. “I was furious,” she said. After that, Nicole decided to join Citizens For Modern Transit (CMT), a transit advocacy group, to help get the word out about the value of public transit before St. Louis County voted on public transportation funding with Proposition A in 2010. Her volunteering paid off, and the proposition passed. Soon after that, Nicole decided to turn her public transit support up a notch and she became a board member of CMT. It’s a day she remembers because, like a lot of her transit experiences, it too comes with a story. Nicole was riding the #410 Eureka Express to the end of the line and scheduled a taxi to drive her the rest of the way. However, when the bus got to the end of the line, there was no taxi. Turns out, the taxi company didn’t serve that part of town. After a few failed calls to family and friends, Nicole decided to walk the rest of the way. “As I’m trying to traverse the terrain, Tom Shrout (the former executive director of CMT) calls me to ask if I’d join their board,” she said. 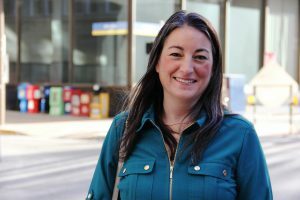 The timing couldn’t have been better as Nicole was learning firsthand how poor connections between different modes of transportation can lead to a frustrating commute.